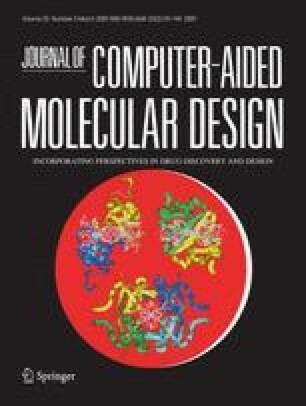 A novel software (VSDMIP) for the virtual screening (VS) of chemical libraries integrated within a MySQL relational database is presented. Two main features make VSDMIP clearly distinguishable from other existing computational tools: (i) its database, which stores not only ligand information but also the results from every step in the VS process, and (ii) its modular and pluggable architecture, which allows customization of the VS stages (such as the programs used for conformer generation or docking), through the definition of a detailed workflow employing user-configurable XML files. VSDMIP, therefore, facilitates the storage and retrieval of VS results, easily adapts to the specific requirements of each method and tool used in the experiments, and allows the comparison of different VS methodologies. To validate the usefulness of VSDMIP as an automated tool for carrying out VS several experiments were run on six protein targets (acetylcholinesterase, cyclin-dependent kinase 2, coagulation factor Xa, estrogen receptor alpha, p38 MAP kinase, and neuraminidase) using nine binary (actives/inactive) test sets. The performance of several VS configurations was evaluated by means of enrichment factors and receiver operating characteristic plots. Ángel R. Ortiz deceased on May 5, 2008. Work at the CBM-SO was partially supported by a grant from “Comunidad de Madrid” thorough BIPEDD project (SBIO-0214–2006) and from “Ministerio de Educación y Ciencia” (BIO2005–0576). J.S. and J.E. were funded by grants BFU2007–61476/BMC (MEC, Spain) and PM076/2006 (DGA, Spain). J.E.’s research stage at CBM “Severo Ochoa” was funded by grants DGA (CONSI + D)/CAI (Spain) and FPU (MEC, Spain). J.E. is recepient of an FPU grant (MEC, Spain). J.E. thanks Alejandra Leo-Macías for help in using the MODELLER software. A.M. and R.G.-R. thank David Abia and Rubén Muñoz for technical support. We also acknowledge the generous allocation of computer time at the Barcelona Supercomputing Center. This work would not have been possible without the encouraging help of Ángel R. Ortiz, to whose memory this article is dedicated.